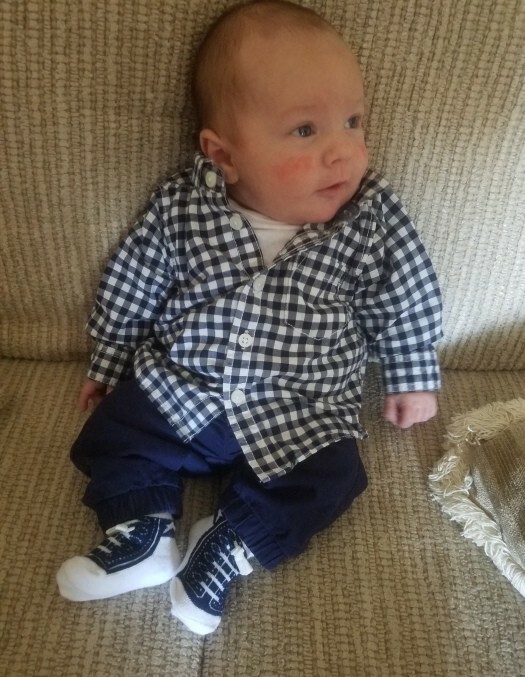 Caden James Hoffmann passed away suddenly Saturday, April 13, 2019 at the age of 2 months. Caden was born February 16, 2019 to Chad Robert Hoffmann and Katie Ann Hritz in Waukesha, WI. Although his life was short it will be forever cherished by his parents, grandparents and anyone that knew of his loving smile. Caden is survived by his parents, Chad Hoffmann and Katie Hritz; grandparents, Paul (Roxane) Hoffmann and James (Barbara) Hritz; Aunt, Ashley Hoffmann and uncle, Cody Hritz; other relatives and family friends. Visitation for Caden is scheduled for Thursday, April 18, 2019 from 5:00PM until 7:00PM at Thelen Funeral Services, W309S4840 Commercial Drive, North Prairie—NW corner of Hwy’s 83 and 59). Memorials for Caden can be directed to the family to assist in medical and other expenses. Thelen Funeral Services is assisting the family.